If you are building a product that is based on ‘what the world was waiting for’, then it would be something that user is already expecting.Second option is to build something that changes the user thinking. Ux extends to a remarkably diverse range of products which is helpful in wide range of industries. 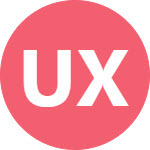 Ux always heads towards innovation and people feel much excited while using their new features.